2019 is looking up to be a year of nostalgic pop as boybands reunite to delight their loyal fans. British boyband Blue recently took over Zepp@BigBox in March and Westlife is set to dominate the National Stadium on August 10. And things are not slowing down – cue the Backstreet Boys who are still on top of their game. The best-selling boyband in pop history has announced its Singapore stop as part of their DNA World Tour on October 30 at the Singapore Indoor Stadium. And no, we're not playing games with your heart. See AJ, Brian, Nick, Howie and Kevin larger than life as they flex their singing chops and bust their best moves to the smashing hits that defined the noughties. Fangirl and scream your heart out to all their greatest singles including As Long As You Love Me, I Want It That Way and Shape Of My Heart, as well as Don't Go Breaking My Heart from their latest studio album DNA. Tickets are available at all SportsHubTix channels from April 1, ranging from $168 to $298. Limited VIP packages for die-hard fans are available at $398. 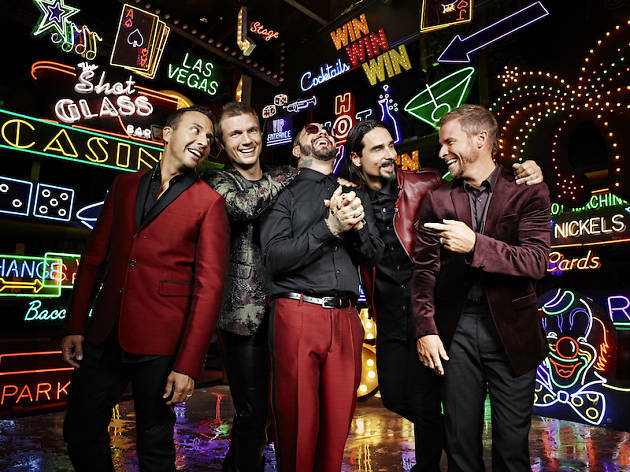 Fan club pre-sales, including Meet & Greet packages, begin on March 28 at backstreetboys.com.